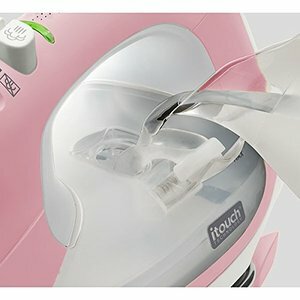 Rapid and powerful heating, expanded steam coverage and an ultra premium Beadblast Chromium soleplate make the TG1100 Steam Iron ideal for frequent household use. 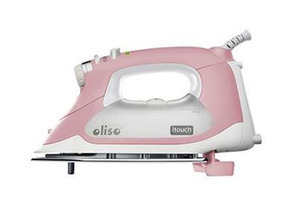 Features Oliso's patented, award-winning iTouch® technology which prevents scorching, accidental tipping and burns. It makes quick work of laundry pilesand, best of all, reduces strain on wrists and shoulders caused by repetitive lifting. 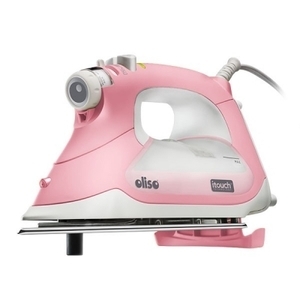 1800 watts and powerful continuous, horizontal, and vertical steam make this a perfect tool for frequent pressing and ironing. Other features include digitally controlled temperature for consistent precise heating, premium stratch-resistant beadblast finish stainless steel soleplatewith more steam holes for consistent steam flow, a large 12.7 ounce side fillwater tank, ergonomic design, and a pointed 2-inch detailer tip to squeeze in tightcorners and cuffs. Eight-minute autoshut-off. Comes with large fill cup. Pointed Detailer Soleplate Tip, Integrated iTouch technology senses when you let go, lifting the iron off of your garment to avoid burning so you don't have to tip it up and down. It’ll save you time and avoid unneeded strain on your wrist. User reports suggest that ironing is 30% faster by not having to constantly pivot the iron up and down. When in use, the high powered, ultra thick sole plate allows for smooth gliding and one pass pressing, while the multidirectional steam and pointed detailer tip helps you flatten, crease, and sharpen with ease. 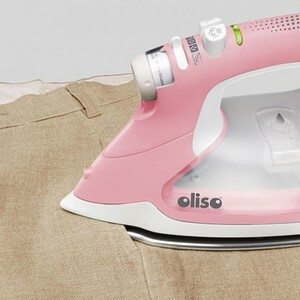 You’ll be able to iron faster, so you can spend more time making and less time laboring. 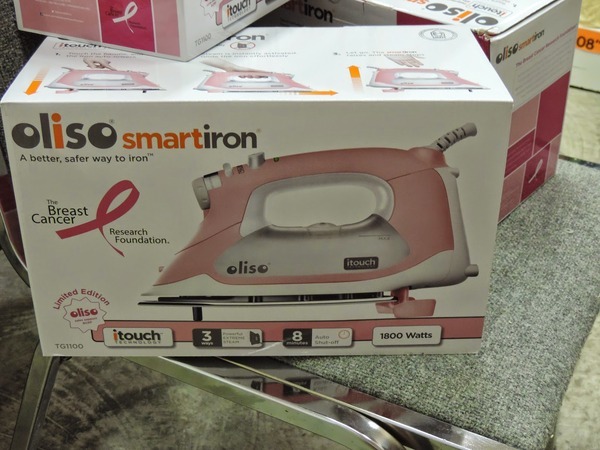 Love the iron and you had the best price and the shipping was great.